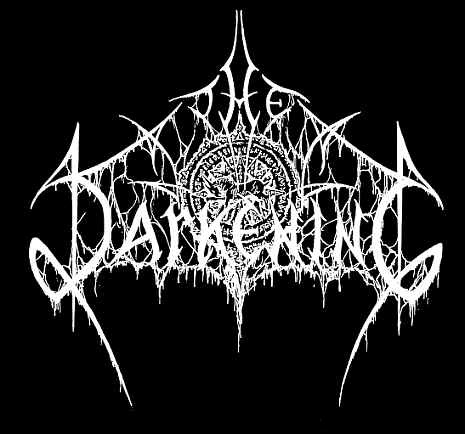 The Darkening has been founded in 1993 as a Death Metal cover band (early Death, early Slayer). The founders of The Darkening are Patrick Luyten (bass), Koen Colen (vocals) and Marc Corthout (guitar). Different drummers passed through the band, all playing in other bands like Demonolatry, Pentacle, Conspiracy of Silence, ... as steady members. After a couple of gigs, the band stopped their activities, but the 2 leaders Koen Colen and Marc Corthout have decided to go on and the line-up has been rapidly completed with new members Tom Bisschops (bass), Dirk Dresselaerts (lead guitar) and Tom Druyts (drums). With this line-up, they decided to compose their own songs, keeping one cover per gig. After some free-podium showcases, they played serious gigs with Ancient Rites, Exterminator, Avatar, Sadist, Vibrion, ... The Christmas eve, December 23 & 24 '95, they entered the dark caves of a studio and spawned in atrocious bleeding spasms their first demo "Silent Souls". It came to the eyes and eras of the mortals in January '96. Unfortunately this demo that sold essentially in Belgium is sold out! Again, the gigs followed with Ordeal, Cantar, Ancient Rites, Enthroned, Magia Posthuma, Avatar, Bal Sagoth, ... 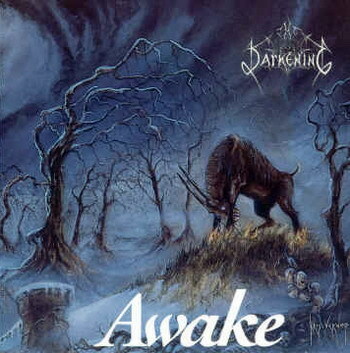 In the midsummer burning, they re-entered the batcaves of the Soundshape studio to record their CD "Awake", including 10 tunes of dark, heavy death metal intending to freeze the mankind for eternity..., there are evil black metal touches too in the songs "The Nameless One", "The Evil Black Lord", "The Eye On The Throne", "Frozen Time", "Master", "Silent Souls", "Secret", "Walpurgisnight" and "Planet of mine". "Last Glory" is the introductive song, revealing the winterlike charm of our Kempen, a region in the north-east of Belgium. The cover and inner illustrations are entirely done by Kris Verwimp.